Over the past week Drusillas Park, East Sussex, has been running a competition to name their beautiful baby Sulawesi black crested macaque. The results are now in and Drusillas is proud to announce that the winning name is Mango! The competition received nearly 1,500 submissions, with lots of people eager to be in with a chance of naming the little monkey. There were some fantastic entries, and names such as ‘Moonhoohoo’, ‘Elmo’ and ‘Maui’ ranked among the best. Drusillas’ competition brief left lots of scope for creativity, with the only guidelines being that the names should be male and suit his cheeky personality. The winning entry, picked at random, came from Stacey Wall, whose 3 year old son suggested Mango when he was shown a picture of the monkey. Sulawesi black crested macaques are in the world’s 25 most endangered primates, so the news of Mango’s birth has been very exciting. 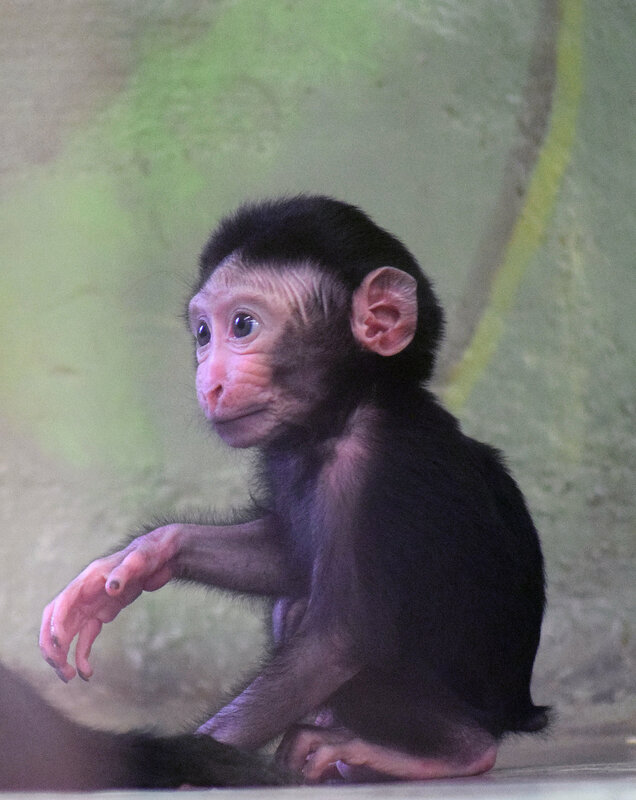 The macaques have always been a popular attraction at the zoo and the tiny baby has been delighting visitors and making excellent progress. Mum, Kera and Dad, Moteck welcomed Mango in mid-July, but kept the youngster closely protected for the first few weeks. However, now the baby is now a little bigger, they have started to show him off and Mango can be easily spotted in his enclosure.